In 2008, the William P. Jencks Early Music Room was established through the generosity of Mrs. Miriam Jencks and friends and former students of Professor William P. Jencks. This climate-controlled room is located on the first floor of the Slosberg Music Center and houses the Music Department's entire collection of early instruments, including a Viennese fortepiano (ca. 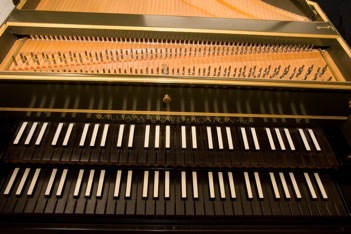 1835) built by Josef Worel, William Dowd double-manual harpsichord (French style), numerous string and wind instruments, and a small portative organ. The Jencks Room is available to students on a permission basis, and is conveniently located close to the Recital Hall. 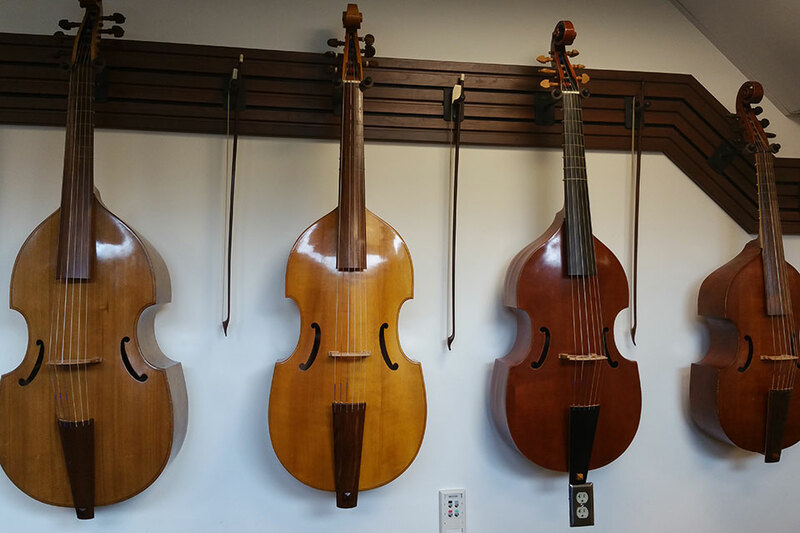 This collection makes it possible for Brandeis students to experience historical music on the instruments that gave rise to it. Professor and Mrs. Jencks were long-time supporters of the Lydian String Quartet who attended numerous concerts over the years. Professor William Jencks was a distinguished professor of biochemistry at Brandeis for almost 40 years, revered and beloved by his students for his keen mind, generosity of spirit, and dedication to mentoring all who came under his wing. 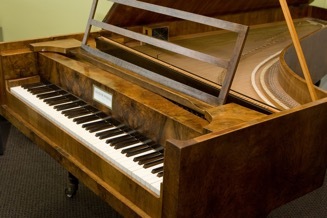 Following his death in 2007, his wife Miriam decided to memorialize Bill's love for music through the donation to the Music Department of a Viennese fortepiano built by Josef Worel ca. 1835. Josef Worel was one of many piano makers active in Vienna in the first part of the 19th century. The entire instrument, with the exception of the soundboard, is original. This includes the keys, covered with bone for the naturals and ebony on pear for the sharps, as well as the vegetable tanned leather that covers the hammers. The instrument has five pedals: una chorda, bassoon, dampers, moderator, and bass drum with Janissary bells. The soundboard was replaced by instrument maker Keith Hill prior to the piano's arrival at Brandeis. Although the fortepiano is housed in the Jencks Room, it (as well as the Dowd) can be easily rolled into the recital hall for performance. The William Dowd harpsichord (#229/1971) is a transposing French double harpsichord with ebony keys (sharps topped with ivory). The Brandeis Early Music Ensemble is comprised of undergraduate and graduate students at Brandeis lead by faculty member Sarah Mead. They rehearse during the academic year in the Jencks Early Music Room and in the recital hall.